Schoofs Plumbing is fully insured, bonded and has been trusted in the homes of residents of Southeastern Wisconsin since 1962. You can trust us to offer you quality work and competitive prices. Schoofs Plumbing can help with any common plumbing problem that you normally come across in the kitchen. Our professional plumbers can stop those dripping sinks, fix the garbage disposal, repair the ice and water dispenser in your refrigerator and fix-install-replace your dishwasher. Additionally, we will be more than happy to install water saving fixtures to reduce your overall water bill. 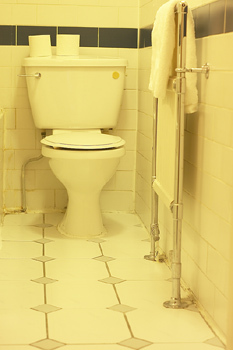 Bathrooms are one of the most common calls for Schoofs Plumbing. We can replace your toilet with a water saving model potentially cutting your water usage by half, take care of any leaks or drips, replace old fixtures and showerheads with water saving equivalents or even install that new whirlpool tub you have been looking forward to adding. Replace your old concrete tubs with new single drain tubs or standard drain pipe or have us install the water hookup to your new energy efficient washer. Have a leaky garden hose or do you want hot tub in your backyard or maybe you have been thinking about installing a sprinkler system - no matter what you plumbing or piping needs Schoofs Plumbing can help.